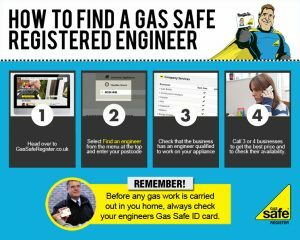 You can find and check an engineer at GasSafeRegister.co.uk (check out our graphic below) or call 0800 408 5500. 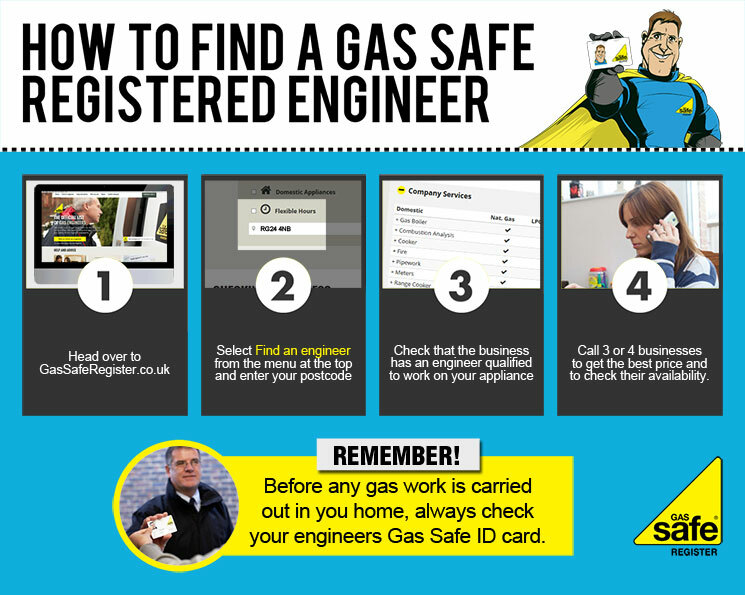 Have all your gas appliances regularly serviced and safety checked every year. If you rent your home ask for a copy of the landlord’s current Gas Safety Record.